Our Incendiary Capsule system is unique in many ways. 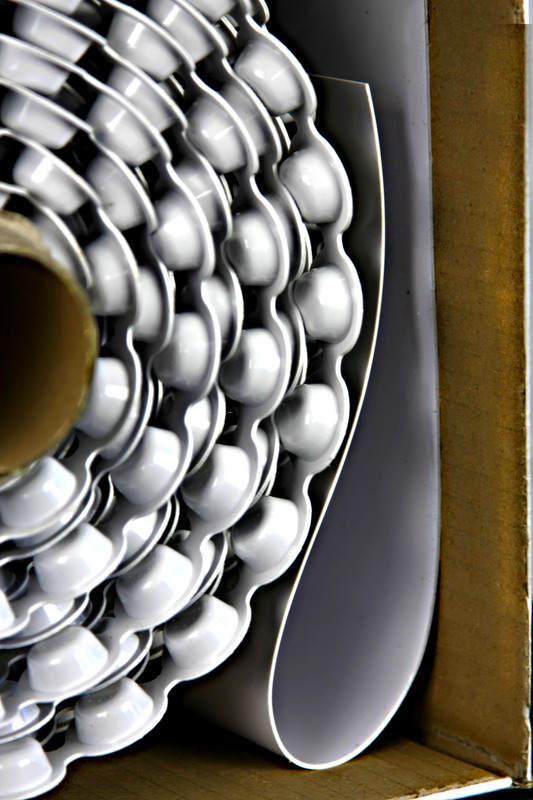 We make all our Incendiary Capsules in-house, ensuring quality control throughout the manufacturing process. 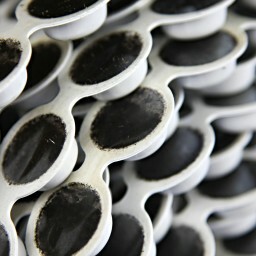 Each box of Incendiary Capsules contains 1000 incendiaries joined together into a Capsule Belt. This results in a compact box (300mm x 300mm x 150mm or 12” x 12” x 6” for R3 Incendairy Boxes), weighing only 2.2kg (4.8lb). Due to all the Incendiary Capsules being joined, the likelihood of jamming is reduced to being negligible. 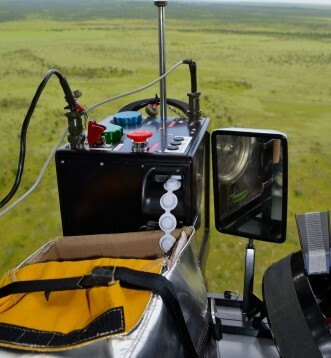 The boxing system utilises a reel and axle to facilitate the easiest flow (and reduction of friction) of the Capsule Belt from the box to the Aerial Incendiary device. A flap ensures that the reel is under constant load, so tangling and jamming are eliminated. The material selected to seal the capsule is extremely adhesive, even in humid environments, plus thin enough that when injected it will not affect the function of the injection needle, even after many thousands of incendiaries. 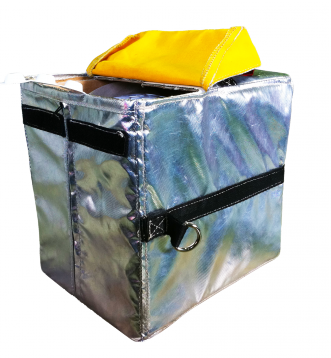 All Incendiary Capsules Boxes intended to be carried in the cabin of an aircraft should be enclosed in an available fireproof bag. These come suitable for both the R2 and R3 Incendiary Capsule Boxes. Recent changes in the manufacturing of potassium permanganate by the main worldwide manufacturer have left the traditional catalyst of ethylene glycol extremely fast and unpredictable. Due to this, we have decided to develop our own specific catalyst that brings back the stability and predictability of the reaction required of an incendiary device. What we have ended up with is a catalyst that not only works exactly as we intend, but adds substantial firepower to the Incendiary Capsule. 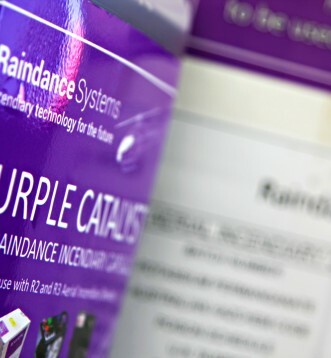 Raindance Purple Catalyst is only for use with Raindance Incendiary Capsules. 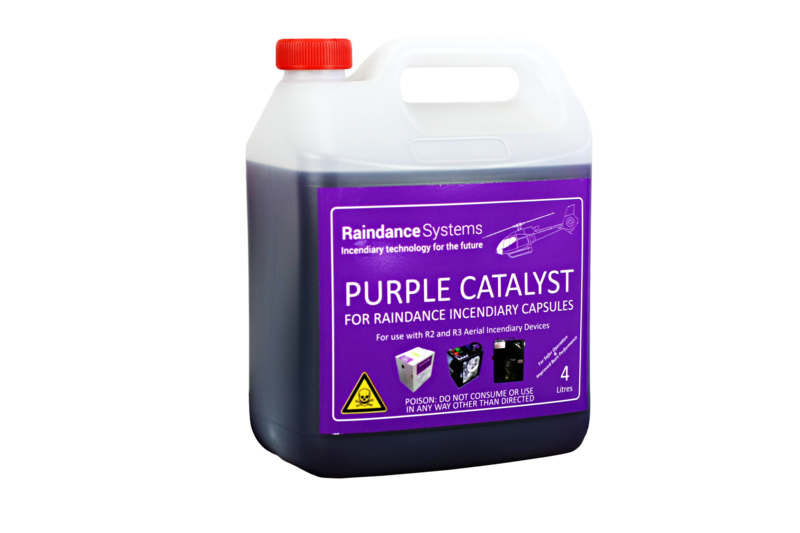 This catalyst is suitable only for Incendiary Capsules displaying a purple label marked with ‘WARNING Only Raindance Systems Purple Catalyst is to be used with these Capsules’, or an unsatisfactory reaction may result.